Complete Protein Blend - Contains 5 different non-GMO plant based proteins providing all the essential amino acids in precise proportions, readily usable by the body, for building and repairing tissue and muscle. Whole Food Complex - Includes 9 different healthy colorful fruits and vegetables offering naturally occurring polyphenols, antioxidants and flavonoids to support overall wellness. 22 Vitamins & Minerals - Act as catalysts in thousands of biochemical reactions every day to support normal and healthy cell function. Fiber & Omega Blend - Provides 6 grams of dietary fiber to help keep you regular. 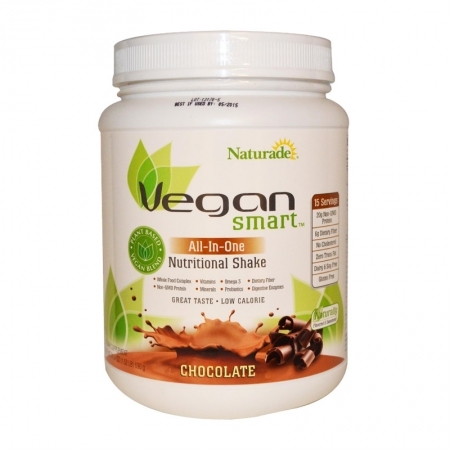 Also contains over 200 mg of Omega-3 (DHA) to support a healthy brain, heart and circulatory system. Probiotic Blend - Contains 1 billion colony forming units, of "good" bacteria, for supporting digestive health and maintaining healthy intestinal flora. Digestive Enzymes Blend - Assists in digesting foods more completely for greater absorption of nutrients and the good health that goes with them.